In the next room here we see once the engine passes all the run-in testing they come here. This place is our stockroom for main assembly. 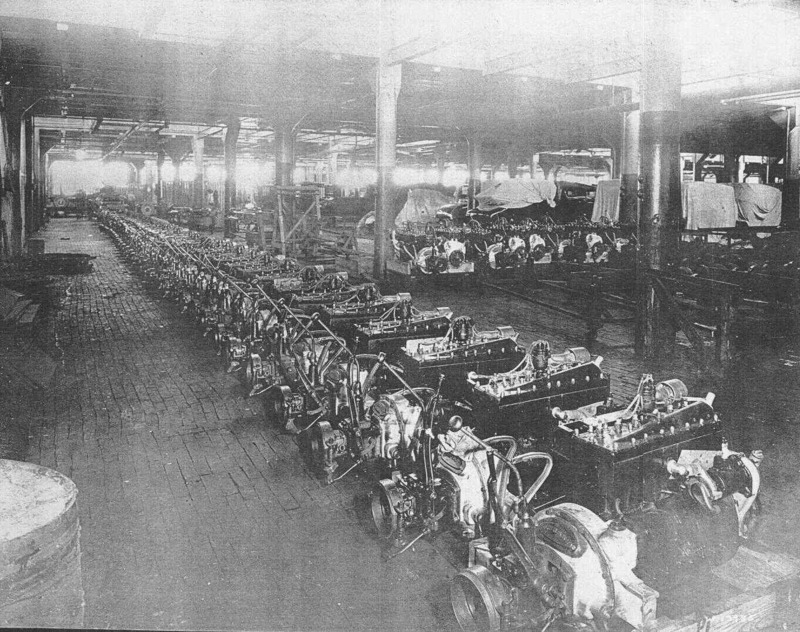 As you can see we have quite a few engines sitting, waiting to be installed into a nice set of frame rails. In the back ground you can see car bodies just in from the coach factory and stand ready for assembly. Another good view of our clean brick floor.